This one is an exceptional opportunity! 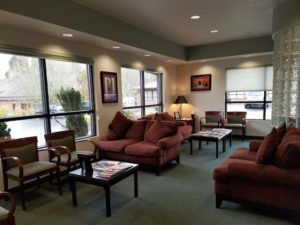 Offered for purchase is this beautiful and modern, two-doctor general practice in Benton County. 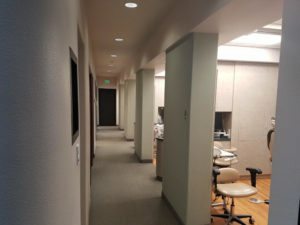 There are two separate tax entities (two practices) that have been operated as a single clinic with some shared common areas, some staff and a business name. The sellers, long time friends and business parters, desire to sell their practices simultaneously to be run as a single entity going forward. Alternatively, colleagues/partners could purchase the practices individually and operate them separately, provided transitions are concurrent. 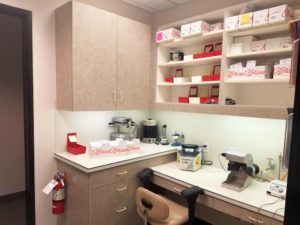 Each practice is is 2,300 square feet with 5 fully equipped operatories, separate labs, sterilization rooms and private offices. 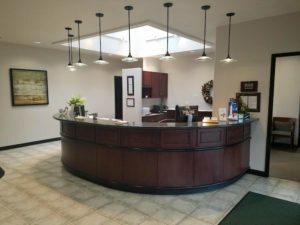 Shared between the two practices are a large reception area/front desk, a business office, 3 restrooms, a staff lounge/laundry, and a converted dark room that is now storage. Both practice use Daisy software. Shared equipment includes a Panorex, compressor and vacuum system. All other dental equipment is owned and operated by the individual practices. 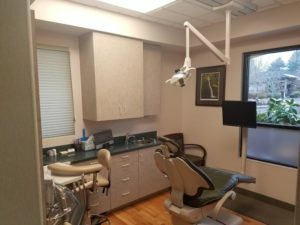 Practice one was started in 1978 and collected $1,159,190 in 2017 with a 38% adjusted net income of $434,877 on 8 hygiene days and 4 doctor days each week. The collection percentage was 99.21% of adjusted collections. Hygiene production was 40.27% of adjusted collections. There are 2,657 patients and 121 new patients entered the practice in 2017. It is estimated that 46% of the collections PPO and 54% are cash. There is no OHP. The doctor refers out ortho, endo, perio surgery and oral surgery. Marketing is limited to a shared website. The buyer’s estimated net income after loan payments is $26,476/mo. 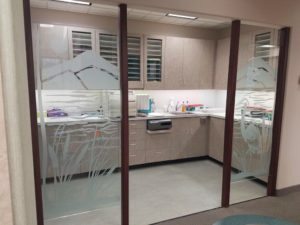 Practice two was started in 2009 and collected $812,768 in 2017 with a 36% adjusted net income of $293,450 on 6 hygiene days and 4 doctor days each week. The collection percentage was 100.81% of adjusted collections. Hygiene production was 34.76% of adjusted collections. There are 2,404 patients and 135 new patients entered the practice in 2017. It is estimated that 54% of the collections PPO and 46% are cash. There is no OHP. The doctor refers out ortho, endo, perio surgery and oral surgery. Marketing is limited to a shared website. The buyer’s estimated net income after loan payments is $18,032/mo.